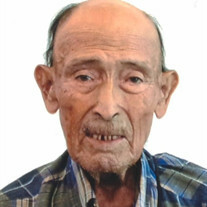 Andres Jimenez,88, of La Pryor, Texas passed away on October 19, 2018 in Uvalde, Texas. Services are entrusted to Hillcrest Memorial Funeral Home 424 Geraldine Street, Uvalde, Texas 78801. The family of Andres Jimenez created this Life Tributes page to make it easy to share your memories.